Singapore is popularly known as the Garden City of Southeast Asia which, due to its size, is easy to navigate and only takes a short time to get from North to South, or East to West. Aside from taxis, the most common mode of transportation in Singapore is the MRT, also known as the “Mass Rapid Transit” system. The MRT system operates both elevated and underground services which are operated by SMRT Trains Ltd and SBS Transit. The former is responsible for North-South, East-West and Circle lines while the latter manages the North-East line. All trains are air-conditioned and are well maintained. The North-East line operated by SBS is also an automated underground rail system which operates from Punggol to Harbourfront. 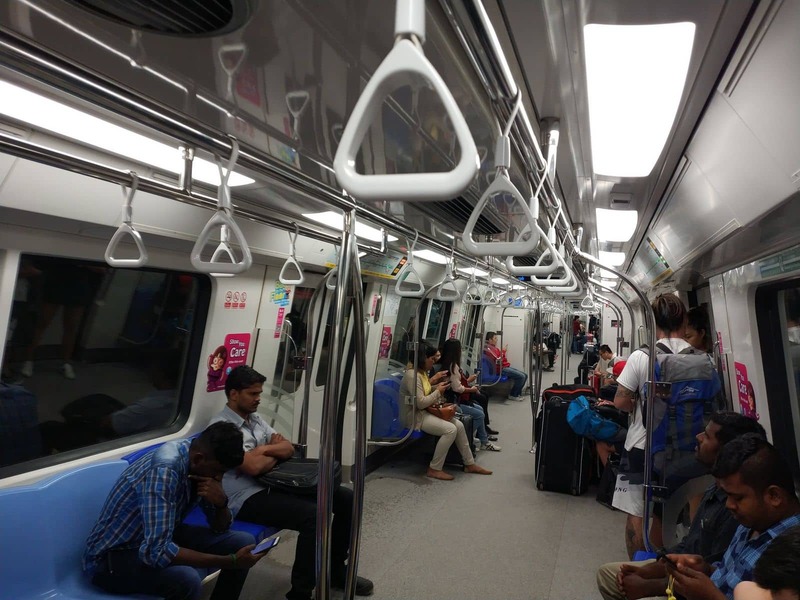 Aside from being one of the most modern MRT systems in the world, the advanced features of the trains make them some of the safest in the world. One of the unique features also of the Singapore MRT system is the use of destination numbers instead of usual line numbers. The train lines are also distinguished by colour: The Green Line travels east/west, the Red Line travels north/south. 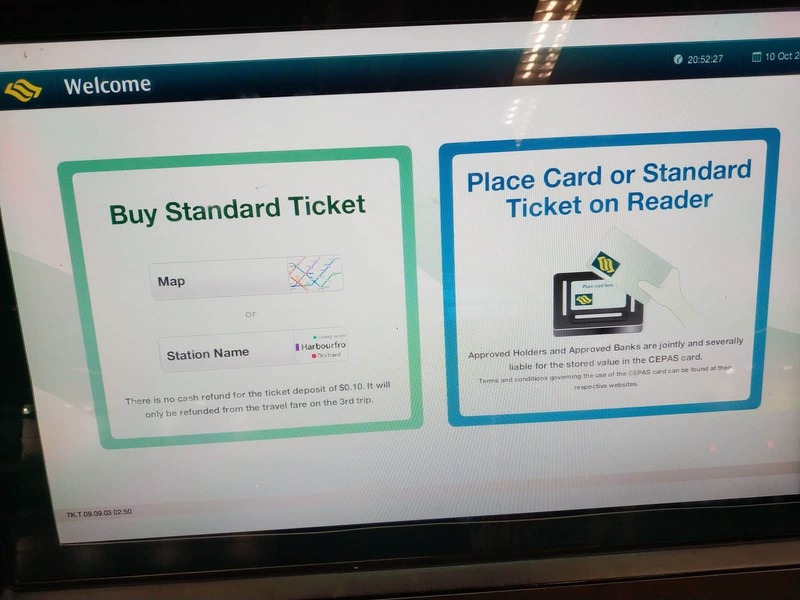 Like most train operators, a contactless smartcard required for each passenger which is scanned when entering or exiting the station. Although fare prices vary depending on the boarding and alighting stations, you can store money on these cards in order to take multiple journeys over your extended stay. 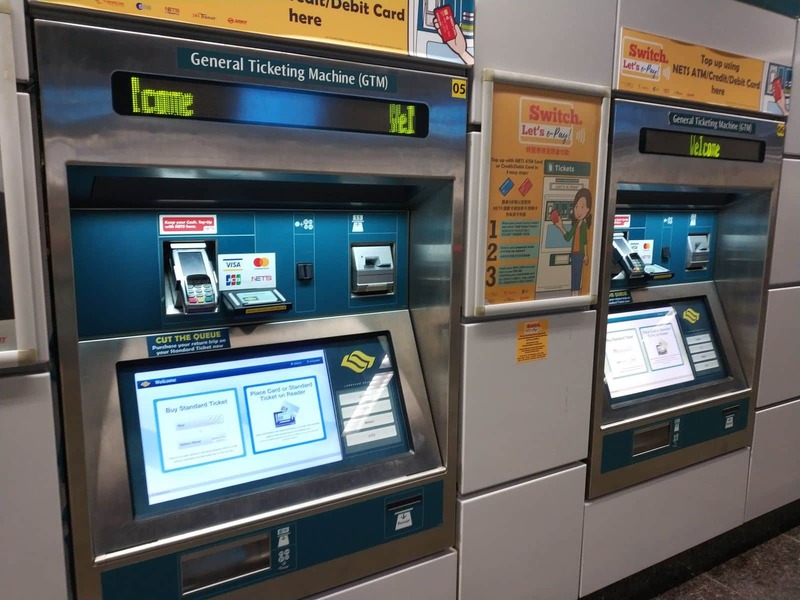 A single trip for an adult start from $1.40 and can be purchased from ticket machines at the stations. Usually, the train operation starts daily at 5.30am and runs until midnight with peak hours between 7am to 9am. Announcements are made in English as is all signage. 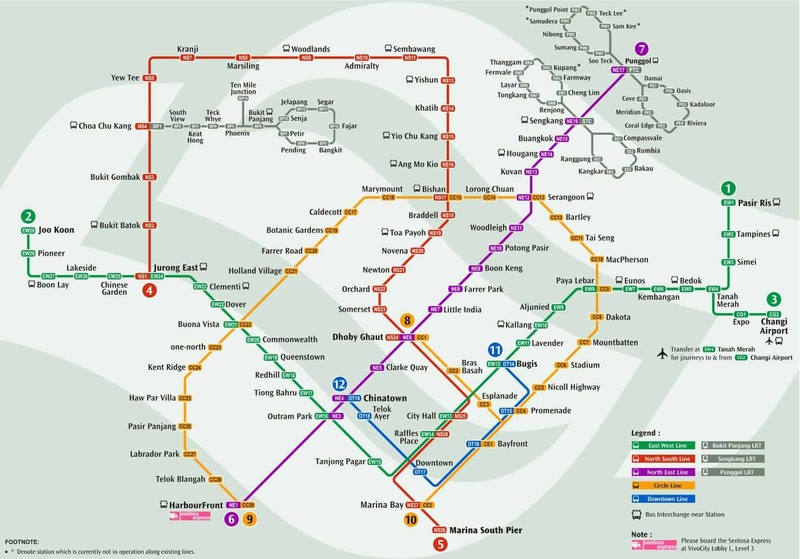 To get to and from Changi Airport, you can take the East/West (green) line. 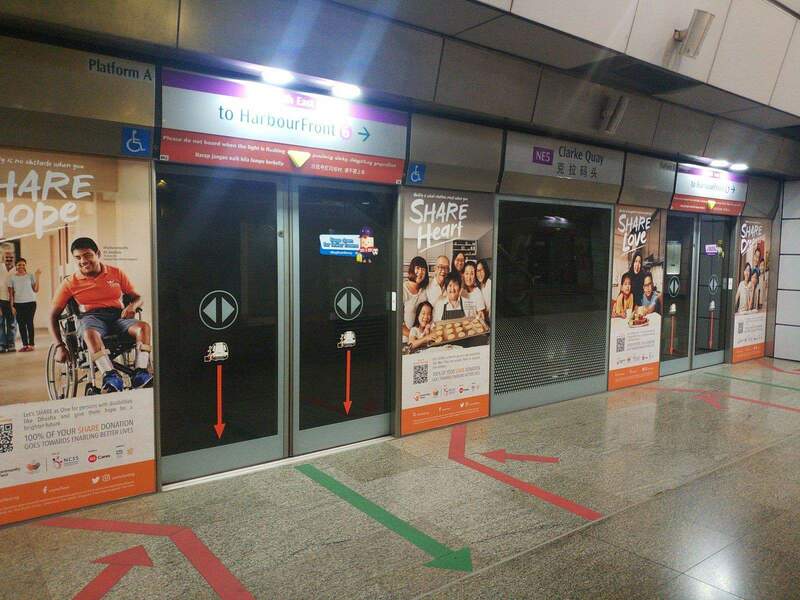 Simply follow the signs from the arrivals hall to the MRT. You can purchase a one way ticket with cash or credit for about $1.40 each way. Take the train and get off at the second stop “Tanah Merah”, you need to interchange here and it is extremely simple as the ongoing train is just across the platform. The train will continue on the green line heading towards the city. 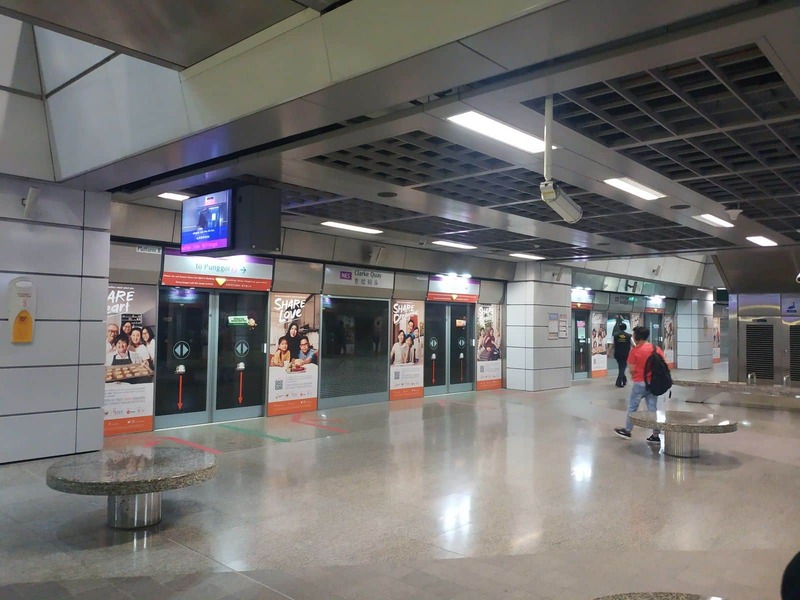 If you need to get on a Purple Line, you can change at Bugis. If you need to get on a Red Line, change at City Hall. 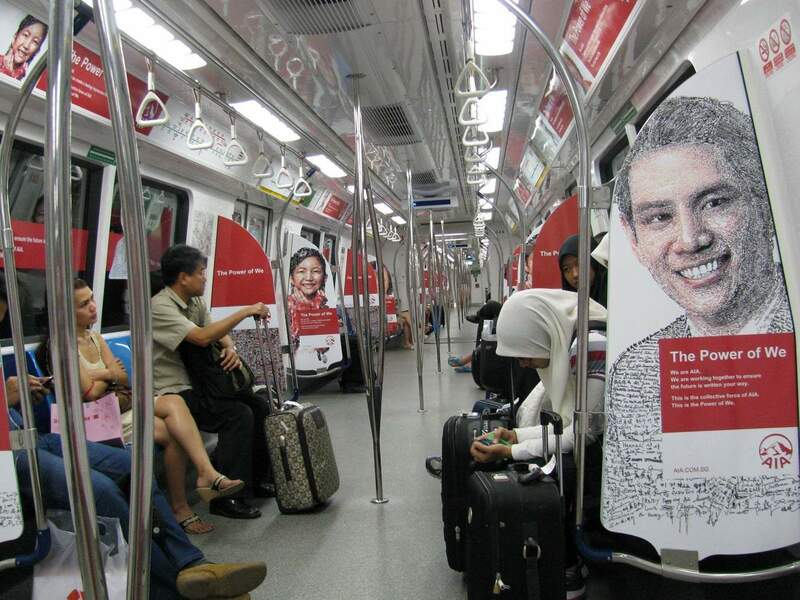 A one way train trip from City Hall to Changi Airport only takes around 15 minutes. Although Esplanade and Promenade on the Circle Line look to be equal distance from Suntec City, i would recommend using Promenade as the walk will be much quicker. Getting off at Esplanade would require you to wait for the lights or use the overpass in order to get over Nicoll Hwy. But it all depends really from what direction you are coming from. That is, any time spent going the extra station might negate the time saved. 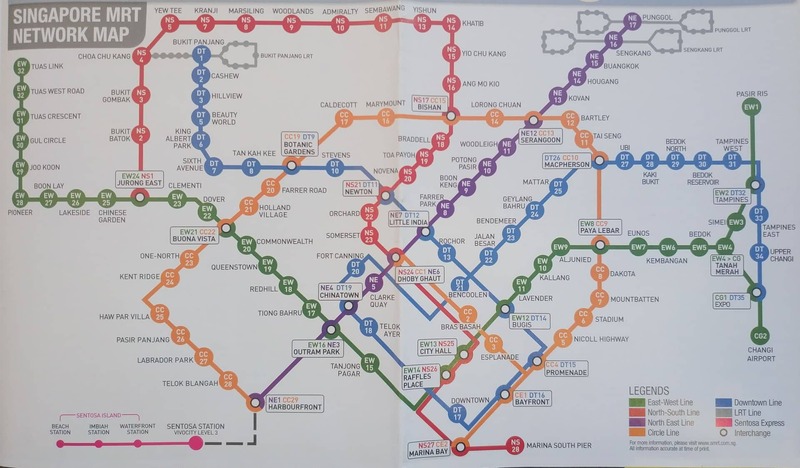 What is the MRT fare for going to city hall from Beauty world? 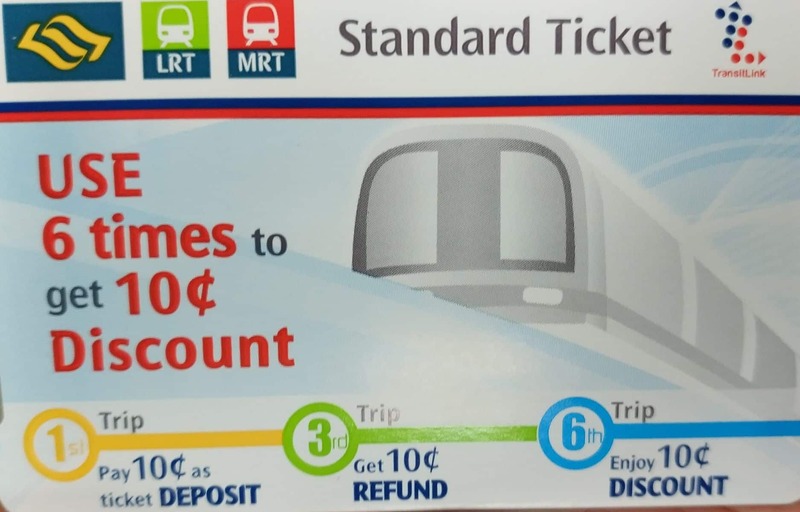 You can use the fare calculator here to work out how much it costs to travel on the Singapore MRT. 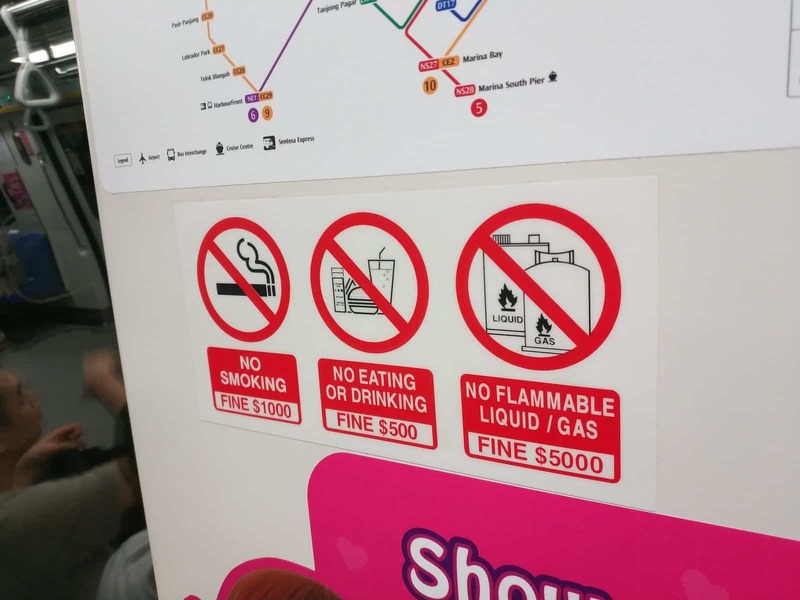 The standard fare will be S$2.20. What time is the last MRT? 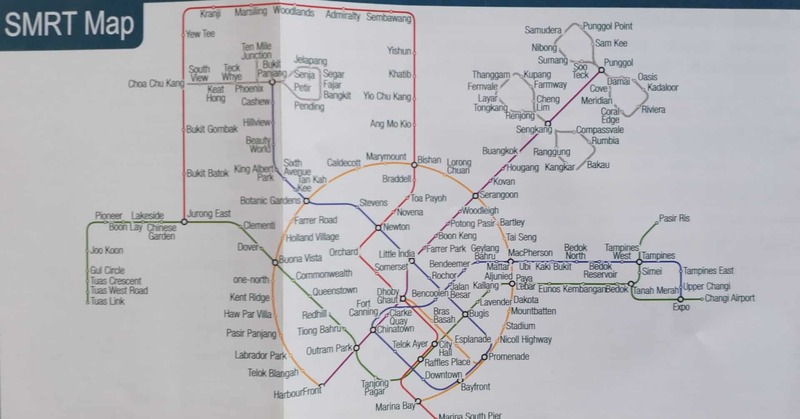 You don’t mention which line you wish to travel on, however the MRT is extended for NYE celebrations with the last MRT’s generally running between 1am – 2.30, depending on which line you require. Best to check with the SMRT site directly. Insert the station and it will give you the last MRT time. We will be staying eight days over the Christmas period, are the MRT trains running as normal. Yes, the MRT runs as normal. In fact, extra services are typically offered over the busy NYE period. 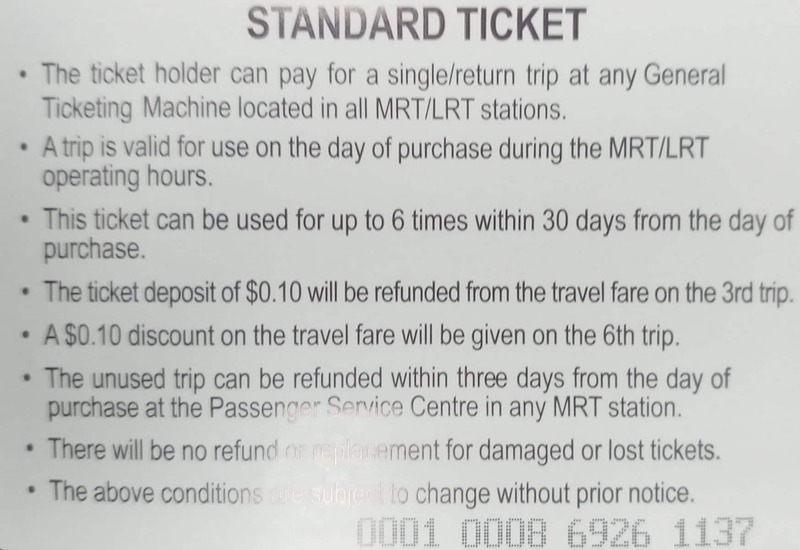 Is there a MRT ticket card for senior citizens like it is in Hongkong? There are seniors tickets, but only for permanent residents and citizens only, who will have a concession EZlink card.